The apple doesn’t fall from the tree. The Baltimore Post contacted Baltimore County executive candidate John Olszewski, Jr. requesting a phone interview regarding his bid for the top position in county government. 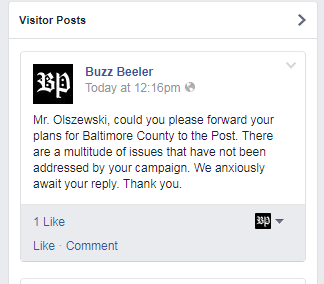 In response to the request, we were contacted by what appeared to be the people running Mr. Olszewski’s campaign who, aside from being quite pleasant in their response, insisted on having the Post forward all questions prior to the interview. The Post replied that this would be unacceptable terms due to the nature of the interview planned. The Post also advised the candidate’s campaign staff that the interview would be conducted by a professional broadcast journalist. To be quite frank, we felt it would not be in the best interest of the voters for the candidate to have the answers to a test provided in advance of that test. A politician needs to think on his feet, after all. To provide further insight into that issue, we asked one question regarding our recent column on the historical Todd’s Inheritance and its relationship to slavery. 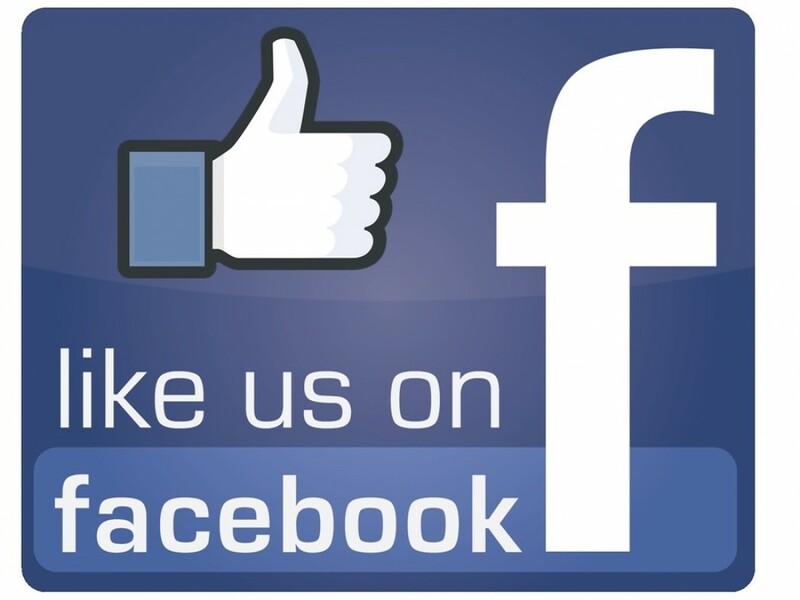 We believe that Mr. Olzewski Jr., if sincere in his efforts to engage with voters and provide insight into his agenda for Baltimore County, would see this question as a good starting point. However, we learned, as anticipated, that there was no forthcoming response from the Olszewski camp but silence. With that in mind, the Post published a column in which we used a photograph from the Facebook page of Mr. Olszewski Jr.
Below, are responses from Mr. Olszewki Jr., or, as he prefers to be called, “Johnny O,” following our subsequent request for an interview and our column written after he ignored us the first time. 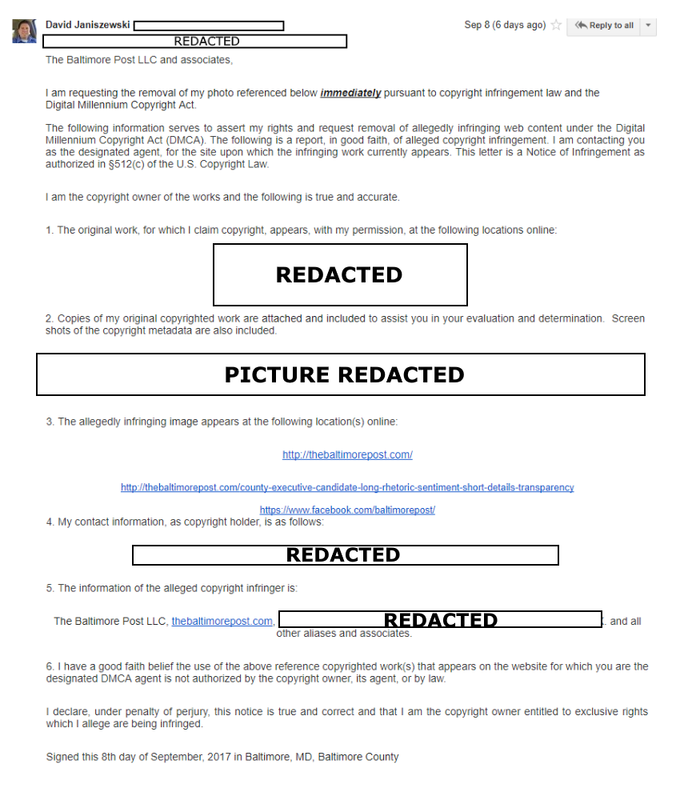 The next image is a copy of the email we received after publishing the photo from Johnny O’s Facebook page. The Post complied with the request and pulled the column down. However, undaunted, we are publishing this revised version of our first endeavor. The next image is taken from a PIA request in 2014 regarding Johnny O’s stance on the Fort Howard issue. 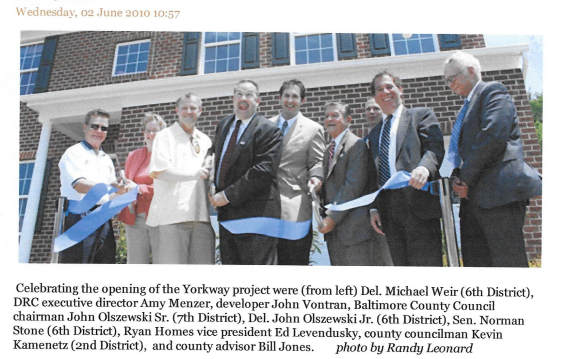 How interesting that Johnny O’s father, former Baltimore County Councilman John Olszewski, Sr., strongly supported the proposed development of Fort Howard by the leaseholder, Tim Munshell, who planned a major development that would have, in our opinion, destroyed the entire peninsula. The article that Mr. Janiszewski is referring to could not be located in the Dundalk Eagle. Another interesting point of concern is that Johnny O used a Gmail account to respond rather than a MD.gov address. The next image from Johnny O’s Facebook site indicates and reveals the close ties between the former Councilman Olszewski, Sr. and Mr. Janiszewski. David Janiszewski is shown standing in front of Olszewski, Sr. 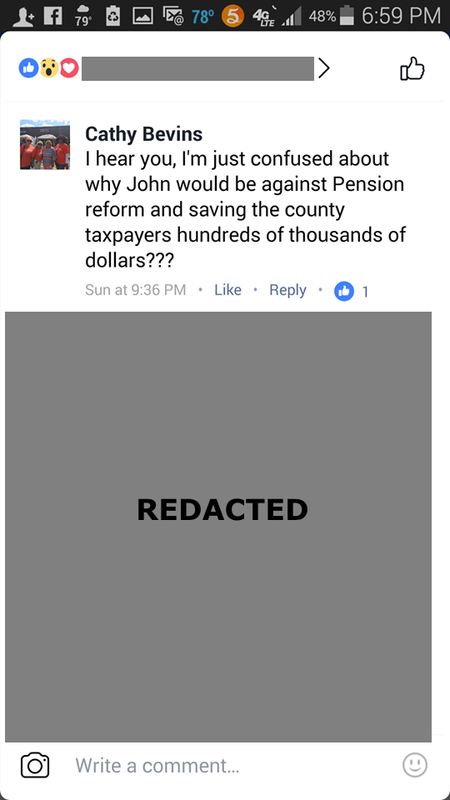 It appears that Johnny O does not mention some of the many disturbing issues facing the county while under the Kamenetz administration, such as crumbling infrastructure, violence in our schools, a bond debt of over $200 million, and a rising crime rate. All of these issues occurred during Johnny O”s tenure in the House of Delegates. Also occurring during Mr.Olszewski’s time in the delegate position representing the 6th District were the highest concentration of Section 8 vouchers in the county. It should be noted that Delegate Olszewski Jr. signed on bill that would disperse Section 8 vouchers throughout the county. However, that bill failed. Here’s another turning point in Johnny O”s shocking loss in his bid to become the next state senator after retirement of Norman Stone. 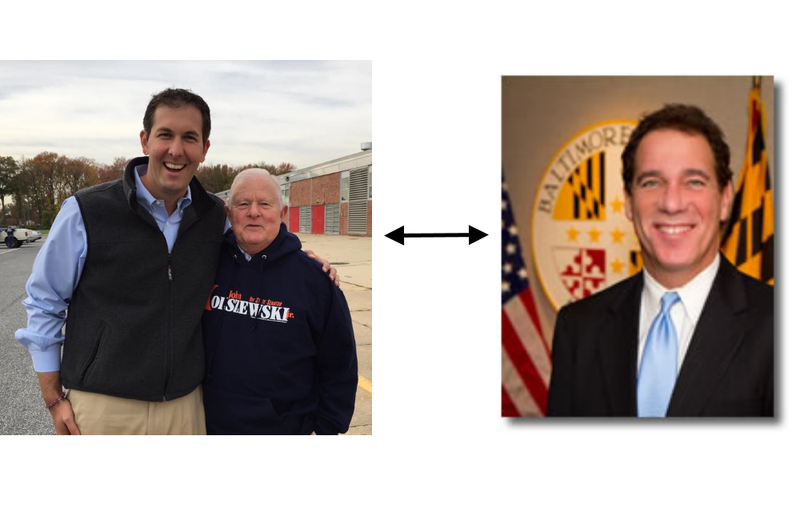 When now Sen. Johnny Ray Salling defeated the incumbent State Delegate John Olszewski, Jr. in what many say is the greatest upset the history of Maryland politics, the Post believes there was a pivotal moment in the race that sealed the fate and dominant influence the Olszewski name had over the political climate in county and state politics. One could say it even reached the halls of congress. The Post also believes this political cronyism led to the former Delegate’s defeat in his bid for State Senator of Baltimore County’s 6th District. There is a single political issue that was the ultimate reason for then Delegate Olszewski Jr.’s loss to a relatively unknown challenger, now State Senator Johnny Ray Salling–a loss that literally stunned the Olszewski camp. This link from The Baltimore Sun will lay the groundwork for our reasoning regarding the loss. Our question is who pays for this free education? Mr. Kamenetz isn’t the only person to benefit from the provision; three other council members who voted for it — Stephen G. Samuel Moxley, Vincent J. Gardina and John A. Olszewski Sr. — are also eligible for the benefit to one degree or another. When The Sun first reported on the arrangement in 2011, county officials said it was being used for some non-elected employees as well, though how many and in what circumstances is unclear. Johnny O’s father was the Councilman during the majority of the years that the Seagram’s property stood in decay. There were also close ties between the Councilman and the developer John Vontran. 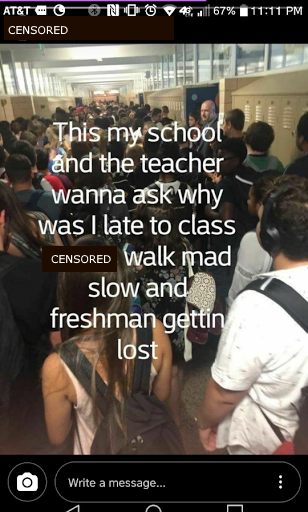 The frustration is apparent, and this photo depicts overcrowding that is engulfed majority BCPS.